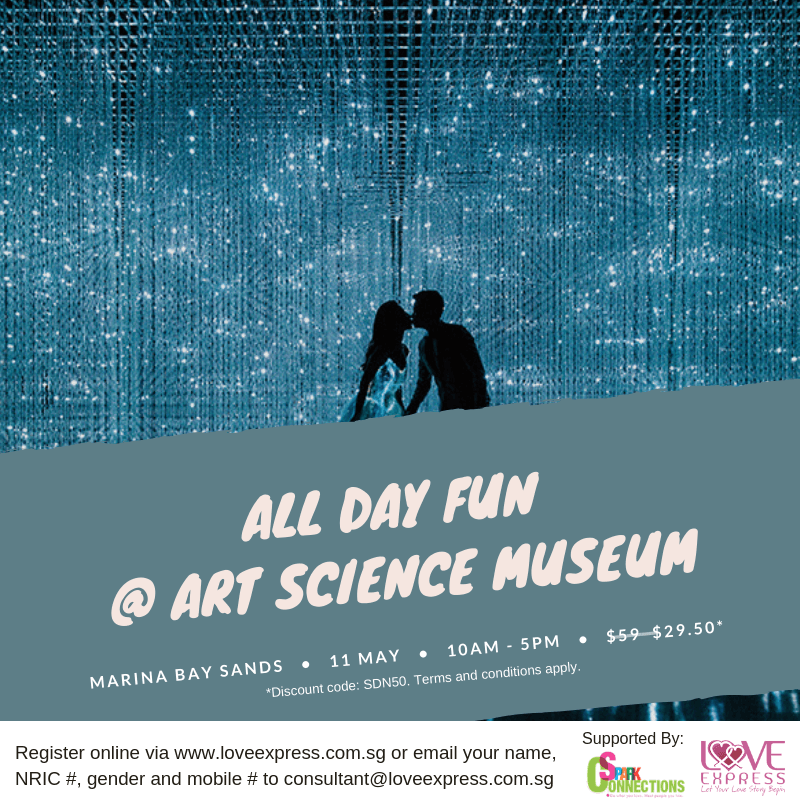 Join us for a fun day at the Art Science Museum at MBS! Gather for a morning drink and get to know your new friends. Price includes a drink at a cool café, an all-access whole day ticket to Art Science Museum and facilitation at cafe for interaction[HSC(4] [MC5] [HSC(6] .